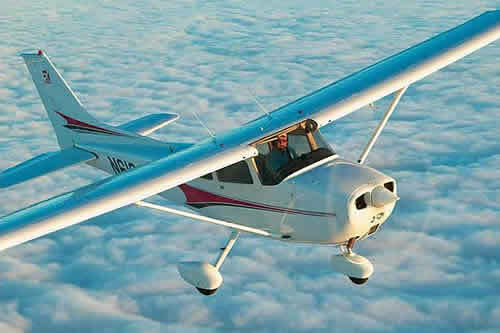 Why You Need To Get Your Instrument Pilot Training? Find Out The Answer To That And More. It is the time to consider getting your Instrument Pilot Training now that you have completed your Private Pilot Course. One of the greatest advantages is that you will be a much more knowledgeable and competent pilot, you will not be limited to only flying in good weather anymore. When you begin your Instrument Course you will gain a much greater understanding of how your Instruments work and why. Along with why weather plays such an important part of your everyday flying. There is one thing I want to make very clear, by getting your Instrument Rating. You as a Pilot will be much less likely to fly off into severe weather conditions that could potentially kill you. The one thing thing that causes more accidents than anything else is weather. The more you know about it, the more you will avoid it and situations that cause potentialy life threating problems. When a pilot gets there weather briefing before each flight they have to make that all important go, no go decision. And all to many times pilots will make bad decision and fly when they shouldn't have. Being the pilot it's your responsibility to make the right decisions. And every decision you make comes from the training and skills you have learned. Having your instrument pilot training gives you more knowledge, so you can make a much better informed decision. Just because you have your Instrument pilot training does not mean you can fly in any kind of weather. This is the kind of thinking that will most definitely get you killed along with your passengers. No matter how good a pilot you think you are, if icing conditions exist and you do not have the proper deicing equipment on board the plane, and even then, there are limitations to plane and pilot. While flying at night you could easily fly into a Storm cell inadvertently, and never know it until it is to late. When you take your Instrument Pilot Training course it will cost between $4500.00 and $5,500.00. This figure will vary from pilot to pilot based on your flying experience. A pilot could complete there training in one to two months depending on how much time you can commit to your training. See list below on what is required to for your Instrument Rating. •You must have at least 50 hours of Pilot in Command Cross Country Flight Time. •You must have at least 40 hours of Instrument Training. •You must have at least 3 hours of flight training in preparation for the flight test within 60 days prior to the check ride. •You have to pass a Knowledge Test with at least a 70%. •You have to also pass a Practical Test.